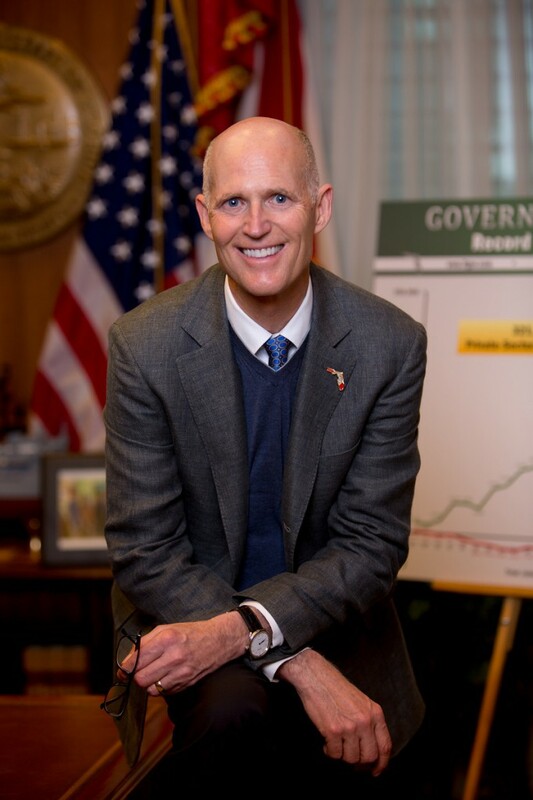 Rick Scott is the 45th Governor of the great State of Florida. 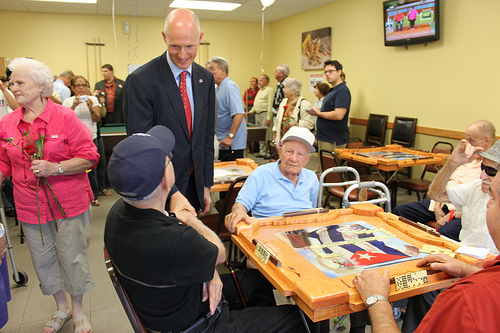 As promised during his campaign, Scott is focused on creating jobs and turning Florida’s economy around. Born in Bloomington, Illinois, and raised in Kansas City, Missouri, his father was in the 82nd Airborne during World War II. After the war, Gov. Scott’s father was a city bus driver and then a truck driver. His mother worked as a JC Penney clerk. At times the family struggled financially, and when Gov. Scott started public school, they lived in public housing. In high school, Gov. Scott met Ann, and the high school sweethearts have been married for 46 years and have two daughters, Allison and Jordan, and six grandsons, Auguste, Quinton, Sebastian, Eli, Louie and Jude. When Gov. Scott left Columbia in 1997 at age 44, it was one of the most admired companies in America. It had grown to become the world’s largest health care company with more than 340 hospitals, 135 surgery centers, and 550 home health locations in 37 states and two foreign countries. Columbia employed more than 285,000 people, making it the 7th largest U.S. employer and the 12th largest employer worldwide.